Sadness imbues the Fall. Sadness for the abundance of life sprouting in the summer now gone and going to seed, the exuberant Sun displays, the blooming of so many flowers. But cycles are one of the most important aspects of nature, I believe. They allow our bodies to recap, to refuel, to re-live. Since I was born at the end of October, Fall has always been my favourite season. A bit sad yes, a bit dark yes, a bit lonesome yes, but my favourite. Going out for early walks, while the world sleeps, is a treat for the soul. Here the fields are covered in dew, there is a gentle song and a blanket of fog that makes your lungs sing with deep breaths, full or rich aromas of decay and wet earth. The Sun starts rising higher, almost every minute, and the pinks and deep yellows start to brighten, your eyes open wide, you feel your heart rising with the Sun. Why is it that the Sun makes things happy?. Raven watching me, by Fig and me. Raven, by Fig and me. I was very sad when I sold Cygnet. Very, very sad. 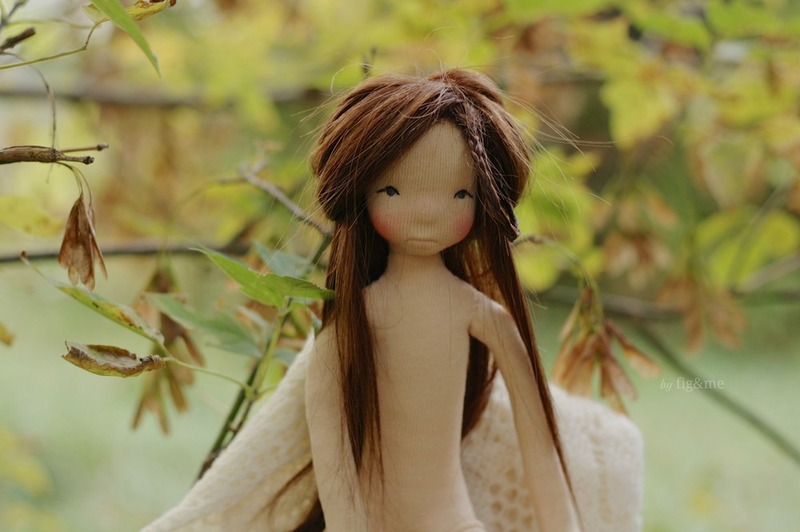 I wish I could have kept her, but part of being a doll maker is realizing that your creations are here for a reason. What the reason is, nobody knows. I certainly don't. 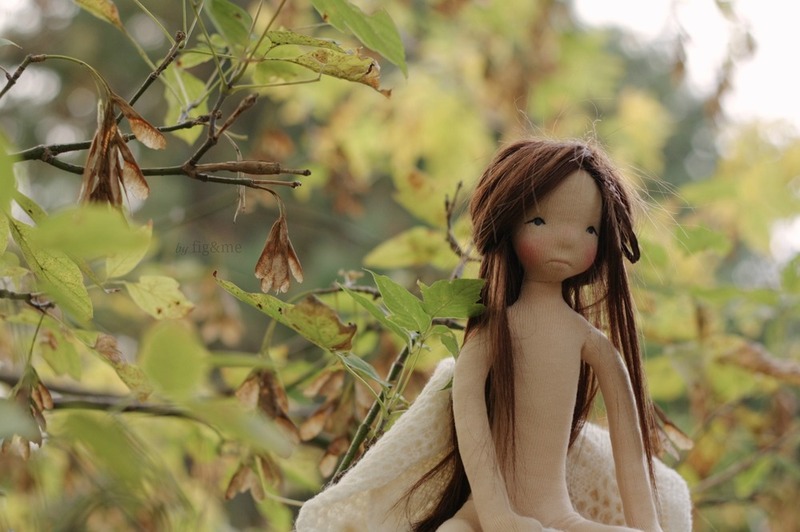 But I do know that my dolls need to move so that I don't become stagnant, and that no matter how much I love one of them, and how much of an effort was to bring her forth, I do have to say good bye. 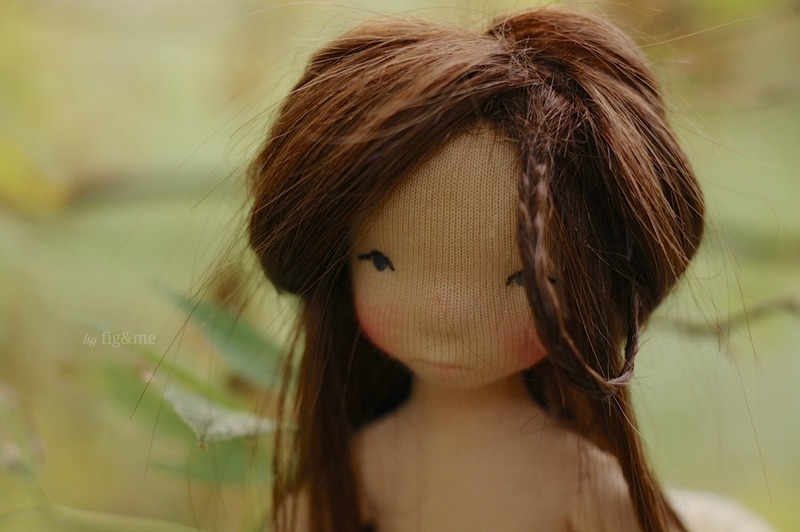 Packing Cygnet has been one of the hardest things I have done in this doll making path. 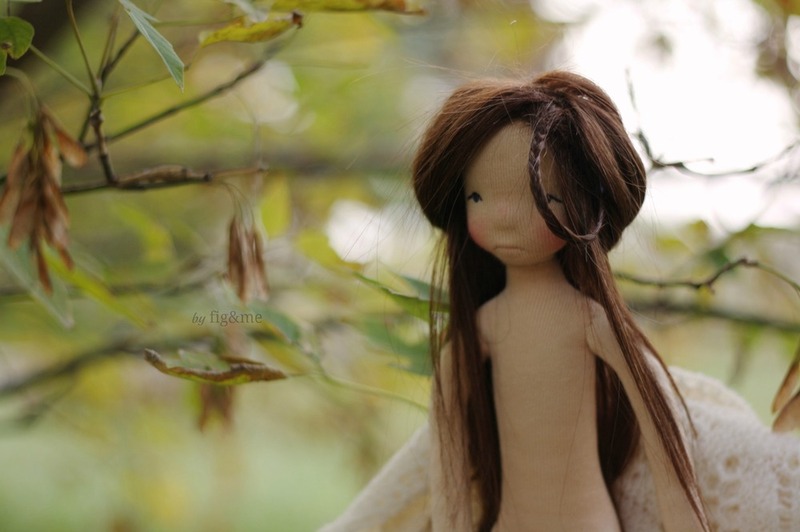 I immediately tried to cheer myself up and think of the next doll, like her, that I could create, but the sadness never left. Until I met Raven. Raven is a bit of an exercise of mine in letting go. Trying to let go of Cygnet, once and for all, to understand that my feelings of attachment only cause me pain and to see that there is always joy ahead in the face of a new doll. I feel that Raven experienced that sadness, that stubborn human streak of refusing to change (why is it Fall when I want it Summer? ), of denying the progression, the necessary path forward. Like the Fall, bringing an end to a summer, Raven has brought and end to my pinning for Cygnet. She has has shown me the way ahead, and I prepare myself for the winter that is coming. Fall brought me a friend, by Fig and me. Overcoming my sadness, by Fig and me. Raven is a little bit melancholic. She has embodied not only the season, but a bit of my sadness. She is always quiet, almost never talks (except to request a change of hair), and waits for me to work on her. My dolls, like my own children, always teach me such valuable lessons, above all the great gifts that come with being patient.